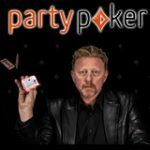 The Party Poker Social Software is unique for a real money poker site. 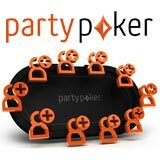 PartyPoker have integrated a social network with their online poker software. The social features include a Party Poker profile, friends, achievements and missions. All your poker achievements will automatically be displayed on your profile activity feed. Players can update their poker profiles with an image and post status updates. Complete Party Poker Achievements while you play at the poker tables and win entry to the achievements freerolls. Take on a Party Poker mission and win cash, tournament tickets and bonuses. PartyPoker ranks in the top 5 poker sites and have been a trusted brand since 2001. 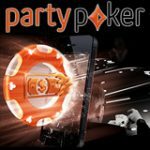 Party Poker have opted for the social approach to online poker focusing on recreational poker players looking to have fun playing poker online. 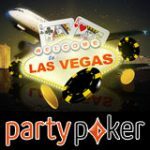 Every registered player has a Party Poker profile which is accessible from the lobby. Your activity feed will automatically feature all the achievements you have unlocked while playing. By default all players profiles are public which means any registered player can see your activity feed, achievements or status updates. Players can set their privacy settings to display their feed to friends only. Players can upload a profile picture in the lobby by clicking on options and uploading a player image. The image will display on your profile and at the poker tables. 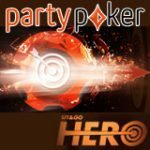 Download Party Poker - sign-up for a free poker account, click here for PartyPoker bonus codes. Meet new friends at the poker tables or invite their poker buddies to join. Players can add friends by sending friend requests to players. This can be done using the Find Friends feature in the lobby which allows you to search players by screen name or email address. Requests can also be sent to other players while seated in a poker game. There are regular missions which players can unlock by completing the mission objective to win rewards. Players must active the mission and work on finishing all the required tasks to get the reward. The achievements are a similar feature to what you'll expect from Zynga Poker the largest free social poker app. Players will earn achievement badges for collecting specific poker hands or hole cards at the real money poker tables. 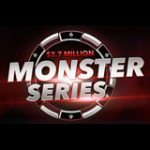 Win entry into the Daily, Weekly and Monthly Giveaway freeroll for completing special achievements. Here are just some of the simple achievements and rewards of tournament tickets. 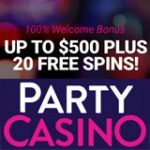 Get the latest PartyPoker bonus codes for first deposit bonuses in several currencies.